Mau Mau is one of the best-selling card games. It is known as "Czech Fool", "Crazy Eights", "English Fool", "Pharaoh", "Pentagon" but with different rule changes. 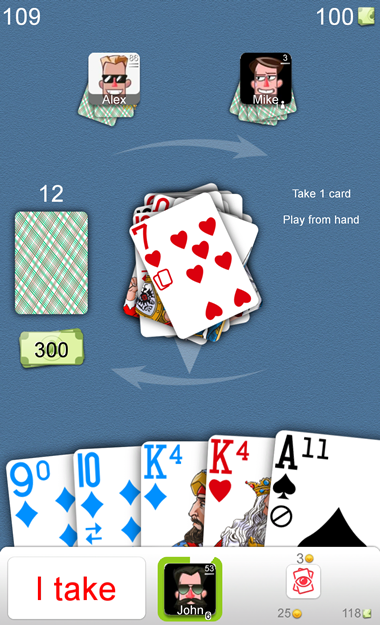 The aim of the game is to be out of all cards, to get minimum points as possible with the cards on the hand, or to make the opponent to get as many points as possible. Would you like to test your Mau Mau skills or learn how to play Mau Mau? Join us!